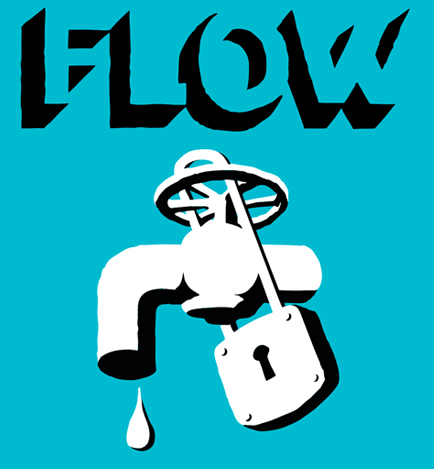 I’ve said it before, but flow is essential in ministry, business and life. Few things are more frustrating than knowing you’re living beneath your God-given potential. Today, we are sharing three practical steps to open up the floodgates of productivity. Over the years, I’ve found that letting people have a voice is much better than me trying to give them mine. Anyone can regurgitate our words, but it almost always comes across as either rehearsed or lackluster. The absence of authenticity and passion is spawned out of a lack of collaboration. Collaboration is the ability to work with people to achieve a desired goal. Don’t get me wrong, if you’re the leader, people need to work within the framework of your vision, but doing so will create fresh and vibrant voices. Ultimately, the final decision lies with you, but there is no doubt in mind that the most successful leaders know how to work with people and delegate tasks. Always remember that the more you hold onto, the less you can grab ahold of! Good collaboration always leads to creativity. I recently read that Yahoo! made the decision to move all work-at-home employees back to the office. On its face, some may find it unfair, but the harsh reality is that it’s needed. Face to face interaction streamlines creativity. Anyone can have an idea, put it in an email, and send it off for review. But compare that to a room full of people discussing ideas. In the latter case, ideas can be laid out, transformed and tweaked until you have a solid solution in a matter of minutes, not days or weeks. If you are the sole source of creativity in your group, you can only go as far as your talent can take you. The side effects are that you become limited, worn out and in most cases, predictable. Make it a point of emphasis to surround yourself with creative people. The more you do, the further you’ll go. As leaders, we must all face the fact that we are who we are. Confused? Let me explain. Unfortunately, many leaders tend to think that their failure to succeed is due to those around them. They refuse to take responsibility for any shortcomings. Successful leaders lead from the front. They don’t blame others. They don’t constantly complain. They learn to inspire. They speak confidently, not arrogantly. They believe in others, and they communicate that vision to them. If your team isn’t doing what you want or need, that’s on you. Ouch! You either need to reevaluate your communication skills or make some changes, that’s the bottom line. One of the most common mistakes people make (I’ve made it dozens of times), is that they think they are clearly communicating something because they said it verbally. What they don’t realize is that they are sending a contrary message with their actions. If you lay out standards for your team, make sure they all adhere to them. If you let one or a few slide, you might as well bank on others pushing the limits as well. You have to be ready to let people go if they aren’t willing to do the job, no matter how talented or nice they may be. Doing otherwise sends the message that your not serious and hijacks your vision. Take some time today to evaluate yourself and your team. Write down a plan of attack and make it a priority to collaborate, create and communicate! For mor great tips and games, subscribe to our blog and follow us on Twitter @stumingames.